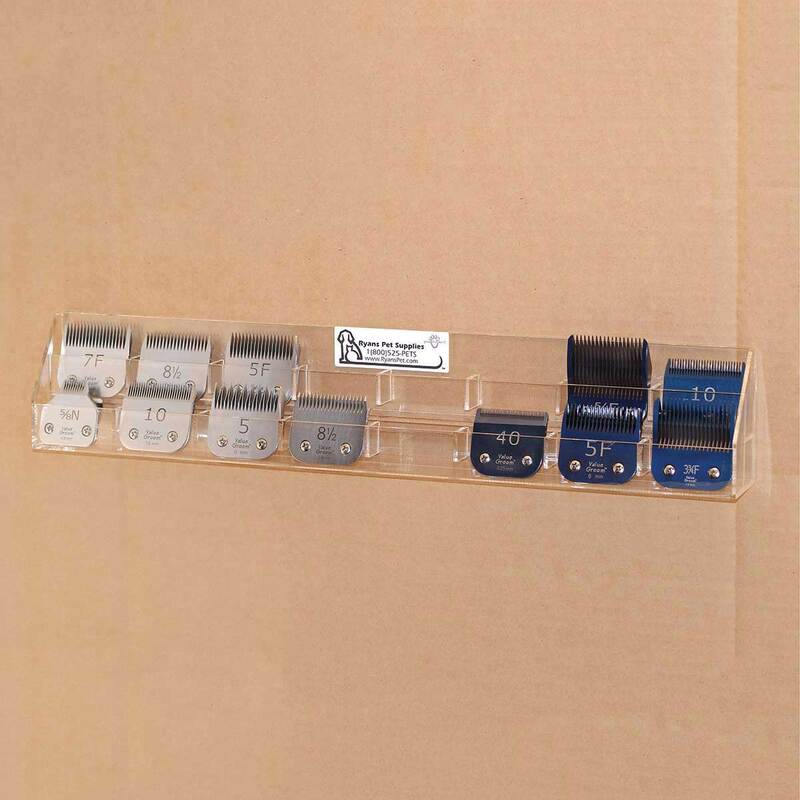 Paw Brothers Blade Organizers are a convenient and space saving way to safely store your blades within easy reach. Mount them on the wall or place on counter. Can hold up to 16 standard blades. Shear Organizer 18" 2" 3.25"